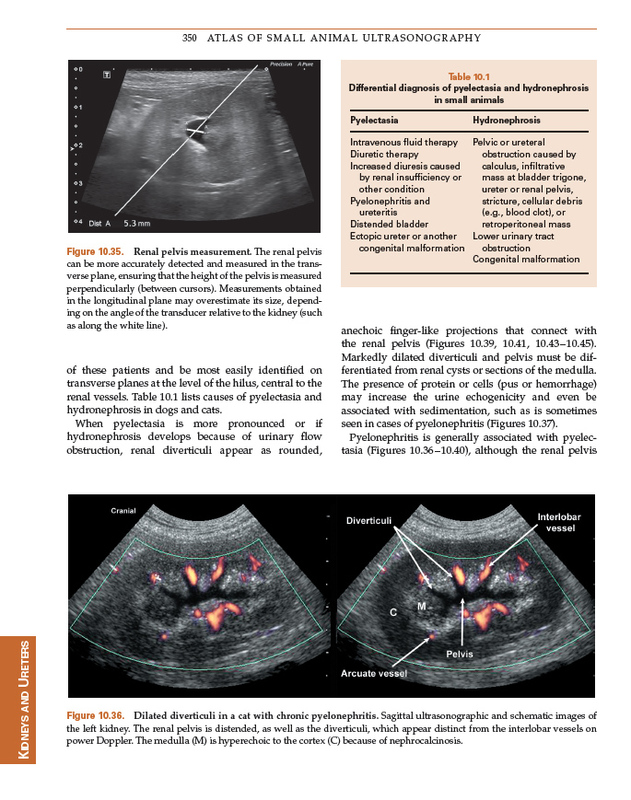 From Chapter 10 – Kidneys & Ureters, page 350. When you see a dog or cat with a dilated pelvis due to pielonephritis, how much time do you spect to return to normal after a treatment is instaured to be seen by u/s? Good question! It depends on the severity of the infection and presence of underlying or concurrent disease as pyelectasia can be caused by several physiological and pathological processes. 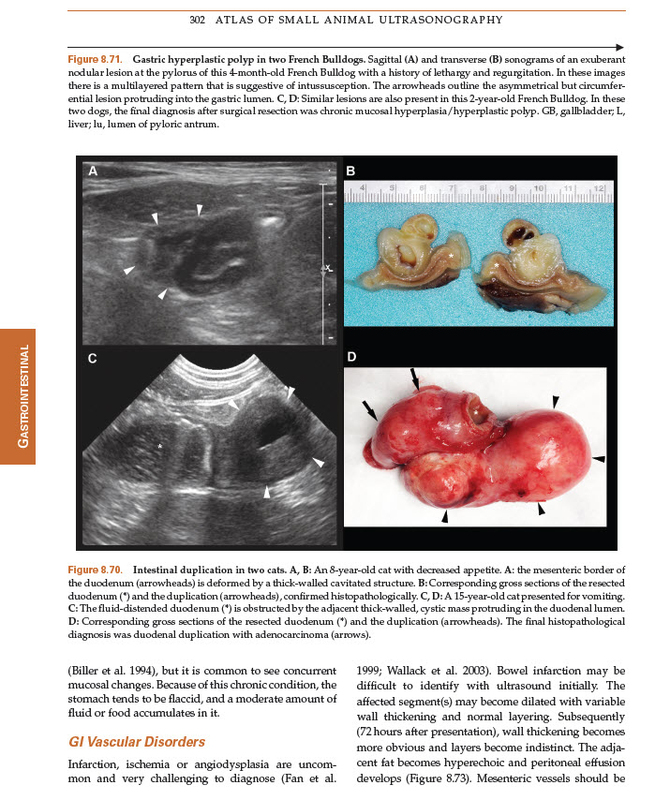 Fibrosis of the pelvis boundaries and distortion of the surrounding renal parenchyma can cause permanent pyelectasia. Also, with residual increased diuresis – due to ongoing renal insufficiency – pyelectasia will remain. Better to assess the content of the pelvis – cellular vs anechoic – and perirenal fat for residual infection.